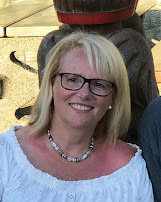 I had a great time Saturday morning at a class given by my upline, Alison Solven. We made two cards - a pop out card and a shadow box. 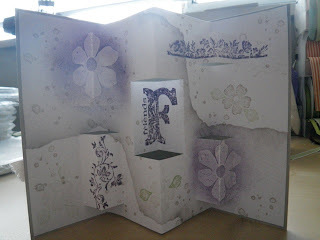 Alison has more information about her upcoming classes on her Stamp Crazy Blog. Her blog also has great information and techniques for new card ideas - you should check it out! I was so excited about this technique that I decided to make a card for a friend's upcoming birthday. I used the pop out technique as well as some embossing techniques - I used VersaMark and stamp pads to add colour for embossed images and used clear embossing resist to "pop" the flowers (I learned this technique at Regionals a couple of weeks ago). 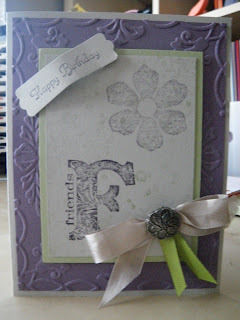 Also used some sponging techniques in the card that I learned in Alison's class. The card is made using the "Vintage Vogue" stamp set - I think this will become one of my favourites! using Elegant Eggplant, Pear Pizzazz and Crumb Cake as colours. I love this technique and I'm pretty sure my friend will be thrilled with the card when she gets it! If you're interested in learning how to make these cards, email me at melva_peters@telus.net and we can arrange a workshop. If you're interested in shopping, check out the catalogues list in the right column of my blog and email me. 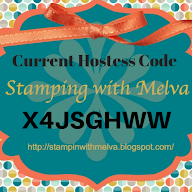 There are great stamping ideas that I'd love to share with you.